Legal marijuana supplies are on the rise across Canada, but distributors nationwide say stockpiles of legal pot remain well below the levels needed to meet demand. Official inventories were up by double digits by the end of 2018, according to the latest Health Canada data. 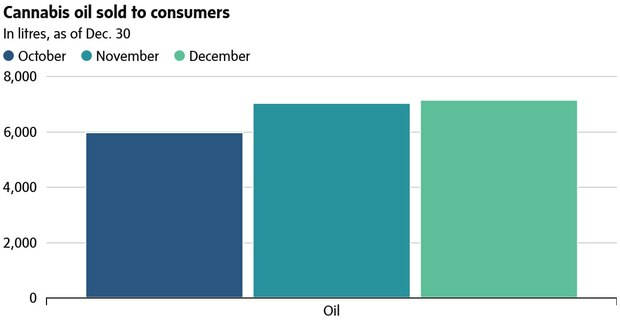 Cannabis supplies in Alberta have risen by 10 per cent since November, leading regulators there to license 10 new storefronts to open in addition to the 65 legal pot stores already operating in the province. Elsewhere in Canada, however, selections remain sparse and many store shelves bare. Clarenville, Newfoundland-based Puff Puff Pass Headshop announced Tuesday it was permanently closing due to lack of supplies and in Ontario, government officials say the province remains committed to allowing just 25 legal pot stores to open province-wide on April 1 in hopes of ensuring they can open “and stay open”. New Brunswick has “received approximately 20 to 30 per cent of the shipment we originally ordered for the October 17 launch date [and we still] have not received all the quantities of our original order,” said Marie-Andrée Bolduc, spokesperson for Cannabis NB, the provincially-owned retailer there. "We have not received our requested range of product [and] we are still nowhere near the volumes or portfolio of product that we had originally planned." In Quebec, supply has improved slightly in the past month, according to Société des alcools du Québec spokesperson Mathieu Gaudreault. The Société québécoise du cannabis (SQDC), a subsidiary of the SAQ, has opened 12 stores, but had to cut back hours of operation due to shortages. The stores only operate four days a week, from Thursday to Sunday. The next three stores, which Mr. Gaudreault expects will be open before the summer, are planned for Brossard and Joliette, near Montreal, and Gatineau. Unlike most provinces, Quebec’s legal cannabis supply is constrained further by the limited number of licensed producers authorized by the Autorité des marchés financiers, Quebec’s financial markets regulator. So far, only six have received the green light: HEXO Corp. Canopy Growth Corp., Tilray Inc., Aphria Inc., Aurora Cannabis Inc. and MedReleaf Corp. (since acquired by Aurora). "They haven't been able to ship as much as we want them too, mainly because of production issues, that's our conclusion," Mr. Gaudreault said. Some cultivation companies attribute the supply shortage not to production issues, but rather to a combination of packaging gaffes and the buildup of cannabis extracts. Many executives tell different versions of an anecdote involving excise stamps arriving without any adhesive and needing to be affixed individually with glue sticks. 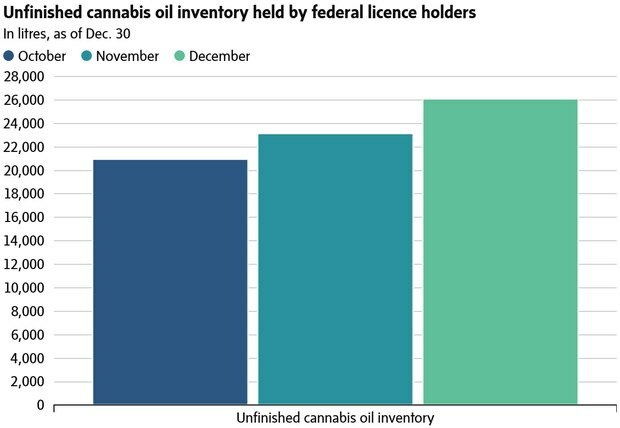 Another common story involves the hoarding of cannabis extracts as companies prepare to serve the second phase of legalization in late 2019, when vape pens, edibles and other concentrates are expected to be authorized for sale. 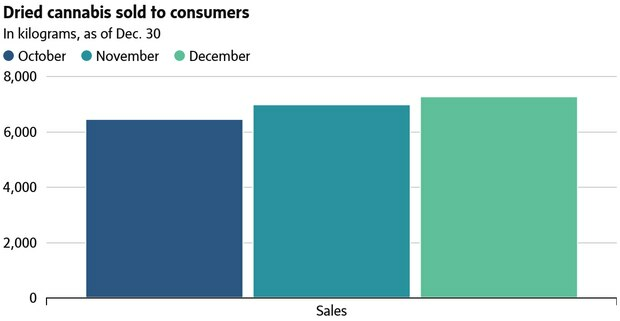 Speaking to a group of investors in Toronto earlier this month, Organigram CEO Greg Engel said equilibrium between legal cannabis supply and demand could take as long as three years to achieve. 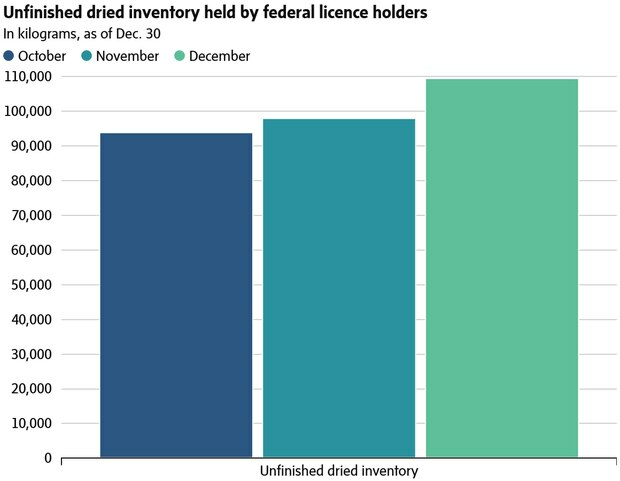 Ontario has repeatedly insisted the province will return to an open licensing system - under which industry observers expect more than 1,000 stores will be authorized over a matter of months - as soon as there is “enough reliable supply,” said Robert Gibson, spokesperson for Ontario Finance Minister Vic Fedeli. Until that time comes, Quebec’s Mr. Gaudreault sees no quick fix as he says the province has already searched nationally for immediate ways to bolster its stockpiles.